Ultimately, this debate is silly. 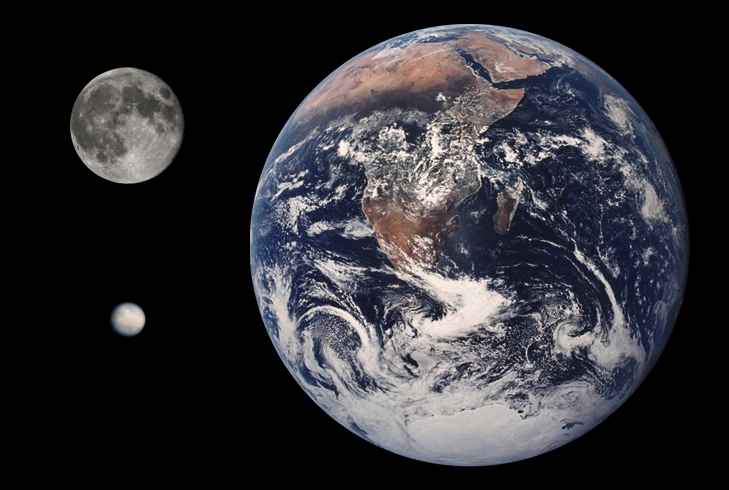 The only real answer to the designation question is “All of the Above.” If we develop low-cost access to space, supporting infrastructure such as propellant depots, and deep-space exploration exploration ships like JSC’s proposed Nautilus-X, we can go anywhere in the solar system. Without such capabilities, we’re going nowhere. Having said that, let’s play the destination game just this once. We’d like to put in a pitch for a dark horse candidate. NASA’s space-science program is in crisis. This is partly due to limitations on the overall NASA budget and competition from other programs, such as the Senate-mandated Space Launch System, but it’s mainly due to budget overruns within the space-science program, particularly the flagship James Webb Space Telescope. The JWST was supposed to cost $1.6 billion and launch in 2011. Now, it is estimated that the telescope will cost $8.7 billion and won’t launch until 2018. The House Appropriations Committee tried to cancel the JWST in 2011, because of the cost overruns. The Senate saved the JWST, but the cost of its salvation is likely to be major cuts in NASA’s unmanned Mars programs and other science missions. Supernova risk greater than expected? A new study suggests that giant stars may not be necessary for supernovae. This is a bit discomforting. Nearby supernovae are suspects in a number of past extinction events. Scientists think that a gamma-ray burst from a supernova may have been responsible for the Ordovician extinction which killed off 60% of all marine species 450 million years ago. A supernova has also been suspected in the extinction of the mammoth just 13,000 years ago. The gamma-ray burst from a supernova is not likely to kill off organisms from direct biological effects unless the supernova is very close by (unrealistically close). A gamma burst could damage the ozone layer, however, causing species extinctions due to increases in ultraviolet radiation. It could also trigger changes in the Earth’s climate that lead to a new ice age. Until now, scientists thought they knew which stars were candidates for supernovae. If that is changing, we may need to take another look at the stars in our own neighborhood. The risks may be greater than we think. Still, we’re probably at far greater risk, individually and collectively, from the star which is closest to us and sustains our lives: the sun. A solar superstorm could damage or destroy power grids, pipelines, and communication satellites, plunging us back into the dark ages. Even a much smaller storm could endanger the lives of space travelers, including spaceflight participants on the suborbital vehicles many of us hope to be flying in a few years. Fortunately, there steps that can be taken to understand and prepare for bad space weather. Citizen scientists can help improve space-weather forecasting by participating in the Royal Greenwich Observatory’s Solar Storm Watch. The CBS News program 60 Minutes did a report on Elon Musk this week. The video is now available on YouTube. The Congressional testimony by Neil Armstrong and Gene Cernan is a bit disturbing. Armstrong and Cernan are national heroes. They deserve our respect, but they do not deserve a veto right over our future. Imagine if Charles Lindbergh had returned from Europe, disappeared from aviation for 40 years, then reemerged in the 1960’s to testify against commercial air travel. Safety is important, but commercialization is not the enemy of safety. 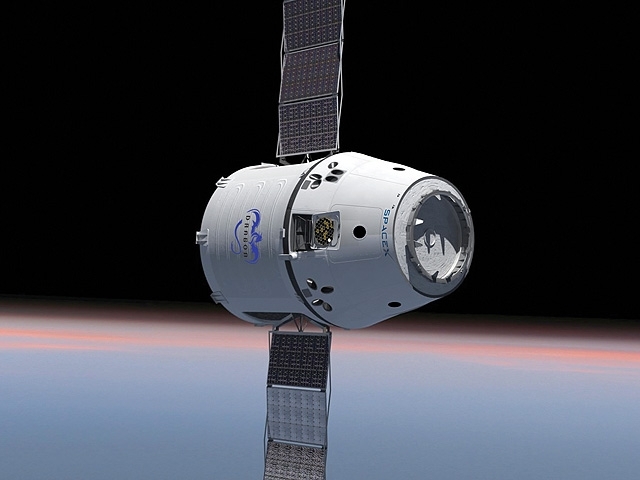 Safety will improve in space the way it did in aviation – with experience. That’s the only way safety has ever improved, and commercialization is necessary to bring about the increased flight rates that will get us that experience. As a side note, this is why, as interesting as the SpaceX developments might be, suborbital spaceflight is even more important. Suborbital vehicles have the potential for achieving far higher flight rates, in the near term, than orbital system. 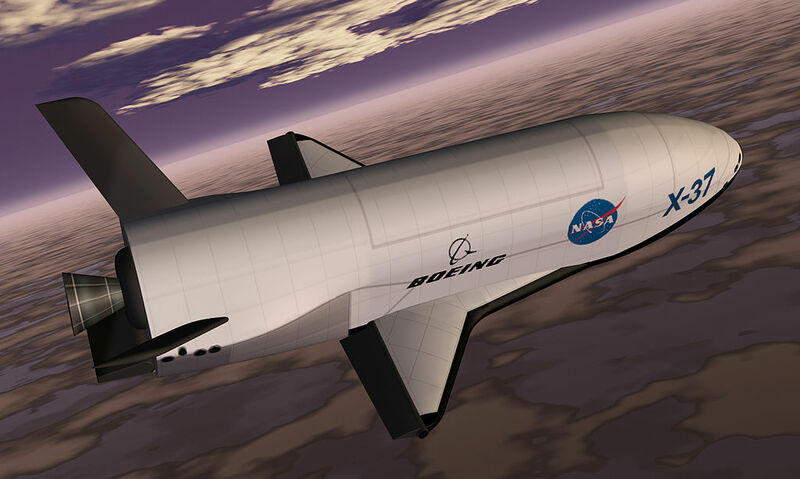 As Burt Rutan likes to say, all progress begins at the low end, and it is low-cost low-end suborbital spacecraft which will gain the base of experience we need for future breakthroughs in orbital and deep-space transportation. 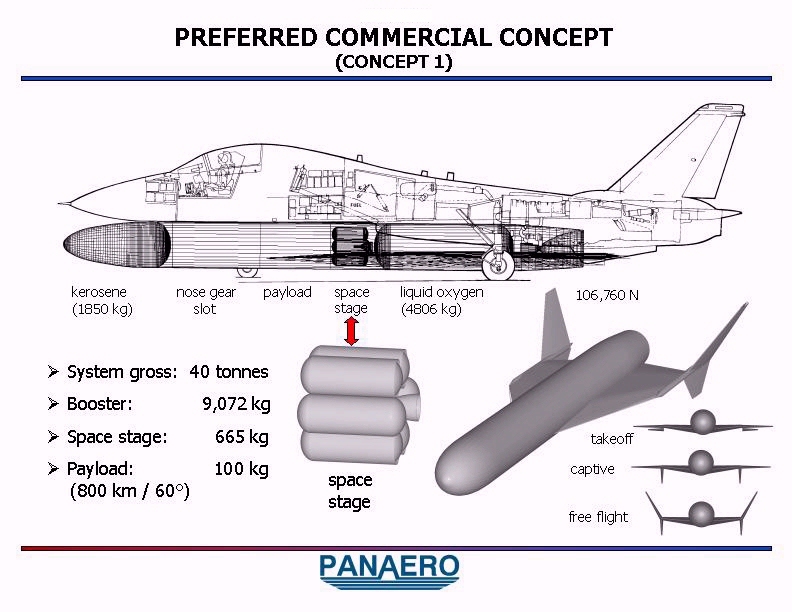 Given the recent interest in using jet fighters as launch platforms, it’s interesting to look at some past proposals. The late Len Cormier was an old-school aerospace engineer who became involved with space just prior to Sputnik. He was also a good friend who never tired of regaling us with tales of dating Marilyn Monroe. 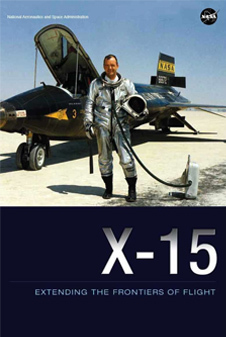 Len worked for North American Aviation, which later became part of Rockwell International, and was involved in some of the design studies that led to the Rockwell Space Shuttle. 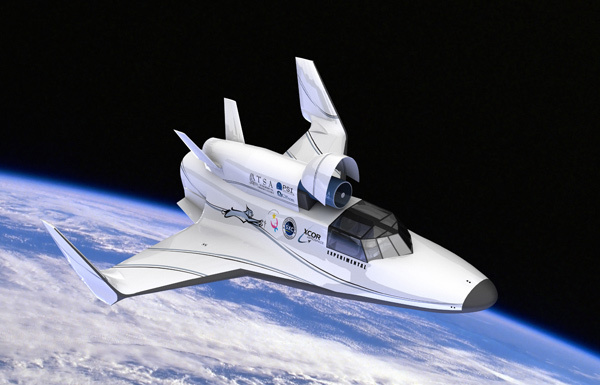 He became convinced that the Space Shuttle would never live up to the economic benefits which Rockwell and NASA claimed for it – it was too large, too expensive, and too complex, in his view – and left to form his own company (PanAero, Inc.) to pursue his own designs. Len continued working up until his death in 2008, always championing vehicles which were small, simple, and designed to minimize development costs. Len’s primary interest was vehicles that could carry humans to orbit (such as the Space Van) but he also worked on suborbital rockets and satellite launchers. 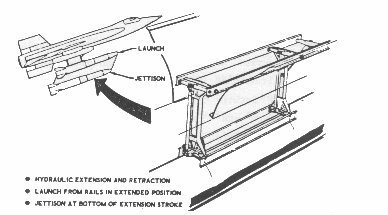 One of his later designs was a concept to launch a 100-kilogram (220-lb) satellite from an F-14A Tomcat. The US Navy fighter was an appropriate choice for Len, who flew fighters off a Navy carrier during World War II, but it was made for sound engineering reasons. 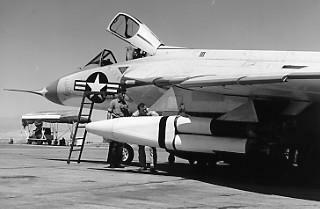 Len believed the design of the F-14 was better suited for carrying underslung payloads than other aircraft such as the F-15 Eagle. In addition, F-14 airframes were readily available (at least to the US government). The Navy was in the process of retiring F-14s from active service and good-quality airframes were filling government boneyards. Unfortunately, Len ran into some difficulty persuading the government to sell recently retired military aircraft to a civilian company. Premier Space Systems is currently considering a similar concept for their future orbital system. PSS would use an F-15A or B model rather than the F-14. Jet fighters originally developed in the 1950’s are now being pressed into service as suborbital (and perhaps orbital) launch platforms. Two groups on opposite ends of the country are working on similar projects. In the Southeast, 4Frontiers Corporation is developing the Star Lab suborbital rocket with sponsorship from the Florida Space Grant Consortium. Star Lab is an unguided rocket that would be launched from an F-104 flying from Kenneday Space Center and operated by Starfighters, Inc. Star Lab would carry 4 to 13 payloads with a total mass of 32 kilograms (70 lb.) to an altitude of 80-120 kilometers (47-70 miles). 4Frontiers Corporation is currently offering payload space at $8,000 (2 kg. ), $13,333 (4 kg. ), and $16,667 (8 kg.). The group plans to conduct powered launch tests during the first half of 2012 with regular commercial launches beginning in mid-2012. In the Pacific Northwest, Premier Space Systems is working with Space Propulsion Group to develop a suborbital rocket launched by an ex-Soviet MiG-21. The Nanolaunch rocket is designed to carry a 45-kilogram (100 lb.) payload to 100 kilometers (62 mi.) or a 23-kilogram (50 lb.) payload to 132 kilometers (82 miles). Future versions of the rocket would be able to place payloads into orbit. Premier Space Systems is based in Oregon and operates out of Siskiyou County Airport in California. 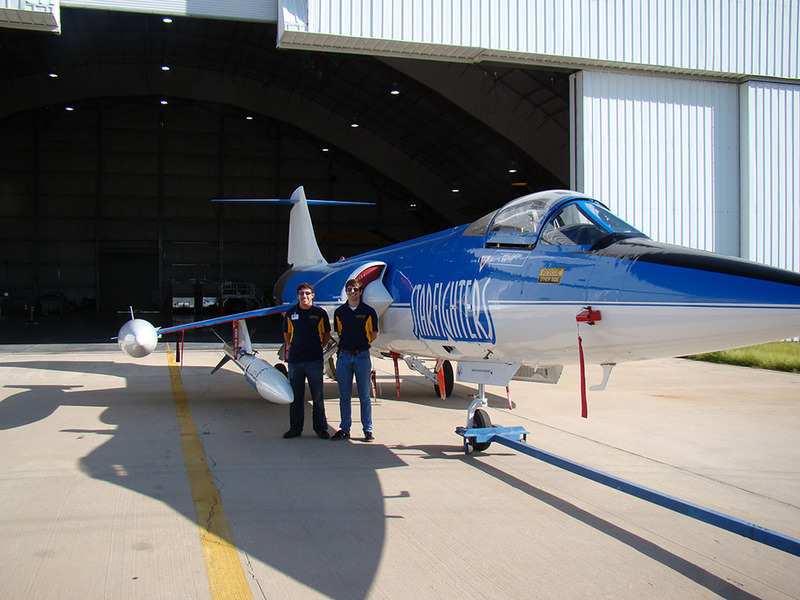 PSS began captive-carry test flights in September 2011 which will continue through June 2012. It has not yet announced a date for live-fire testing. 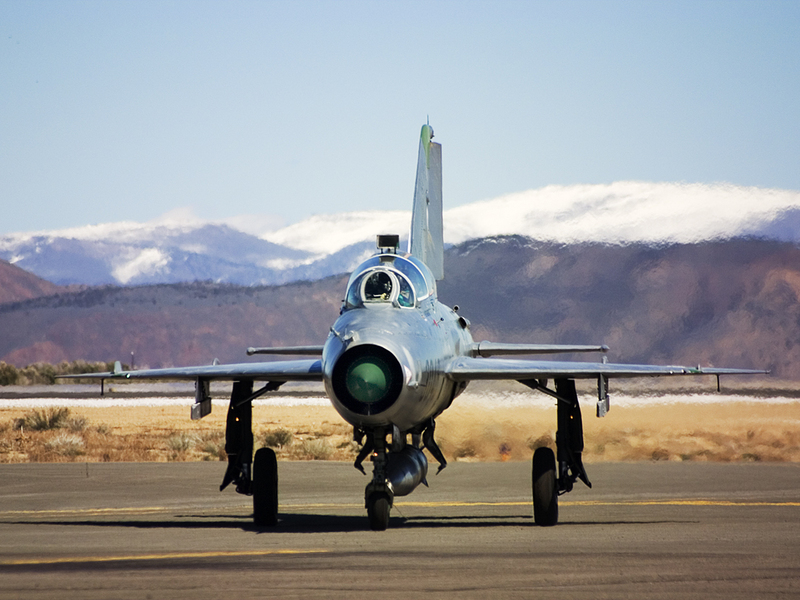 The F-104 and MiG-21 are quite similar aircraft in terms of age and performance. Both were designed as high-performance Mach 2 interceptors. The F-104, designed by legendary Lockheed designer Kelly Johnson, entered service with the USAF in 1958. The MiG-21 entered service with the Soviet Air Force the following year. The F-104 was soon retired from USAF service, however (although some US allies, such as Italy, continued operating it until the 21st Century). The MiG-21 remained in service with the Soviet Union and its allies for decades and became the most-produced jet fighter in history. More than 11,000 were built (over 13,000 if you include the J-7, a reverse-engineered Chinese copy). Using jet fighters as launch platforms is not a new idea. Project NOTSNIK used a Douglas F4D Skyray, another 1950’s vintage fighter. Both aircraft were both designed as highly optimized, lightweight high-performance fighters. This makes them well-suited for use as rocket-launch platforms, so it’s no coincidence that the two ventures have similarities. It’s no coincidence that both ventures have coastal locations, either. Being located near the ocean greatly simplifies the impact-area problem for such rocket launches. The International Space Station was originally scheduled to be deorbited by 2016. Given the long development program, this led to understandable criticisms that NASA and the international partners were building the station just so they could throw it away. In 2010, President Obama reversed course on that plan, announcing that the US would continue ISS operations through at least 2020. Now, there are rumors the lifetime of the station may be extended even further, until 2028. 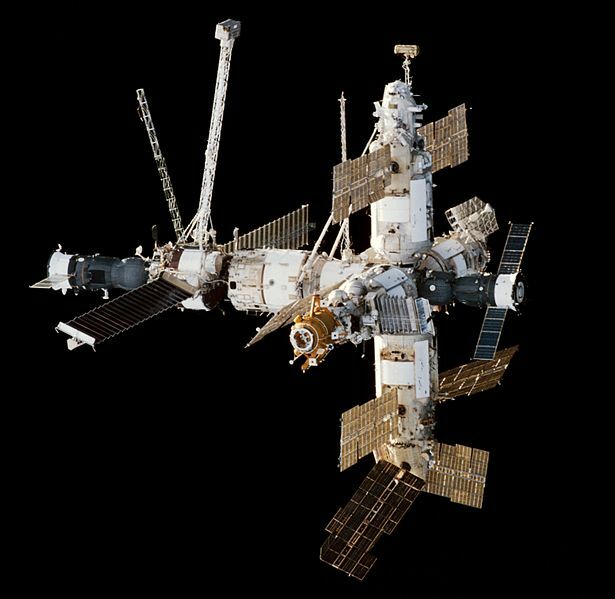 If that happens, ISS will remain in orbit for a total of 30 years – twice as long as the Russian Mir space station. Ironically, the previous NASA Administrator, Dan Goldin, insisted that Russia deorbit the Mir space station to free up resources for the ISS program. Goldin declared Mir to be outdated and unsafe because of its age. Pressure by Goldin ended attempts by US and international parties to commercialize the Mir space station. One reason for keeping ISS in orbit for as long as possible: although it is seldom commented on, NASA does not currently have a firm plan for how to dispose of the space station when it reaches end of life. The original plan called for the station to be disassembled and major pieces returned to Earth via the Space Shuttle. That plan is currently nonoperative since the Shuttle is no longer flying. 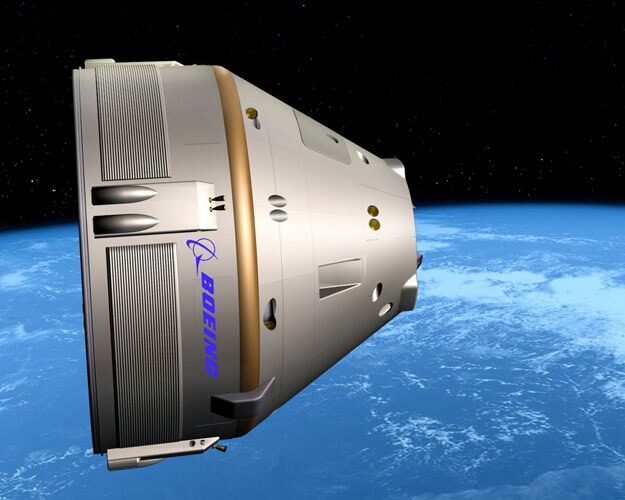 By the time 2028 arrives, ISS may be something of an anachronism, if Bigelow Aerospace realizes its ambition to develop a commercial space station. Project NOTSNIK is one of the obscure footnotes of space history.